Western Colorado Democrats are again looking for a candidate to challenge U.S. Rep. Scott Tipton, R-Cortez, after Buffie McFadyen withdrew from the race Sunday night. McFadyen made the announcement on her campaign’s Facebook page and cited family reasons. She is a Pueblo County Commissioner and former state representative. 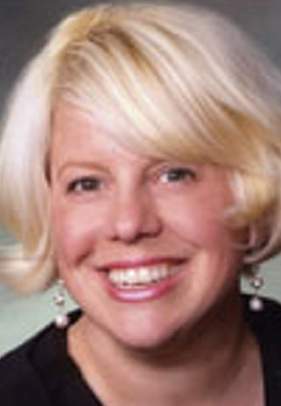 She entered the race Feb. 10 and promised a vigorous campaign against Tipton. She was confident she could handle her job as a county commissioner and run for Congress – essentially a second full-time job, she said. “But I’ve been feeling a bit ambivalent because my son’s lacrosse season was starting practice, and I realized I’m not prepared to miss the next two years,” McFadyen said in an interview with the Herald. Tipton is serving his second term in Congress, and McFadyen was the first experienced candidate to step forward to challenge him. Rick Palacio, chairman of the Colorado Democratic Party, said Tipton will not be without an opponent for long. “We’re doing everything we can to field another candidate. I would predict in the next five to seven days, we will see someone announce,” he said. Ryan Call, chairman of the Colorado Republican Party, said Democrats don’t want to challenge Tipton. “Today’s announcement shows that even Democrats believe Congressman Tipton is a strong leader and an effective representative who deserves to be re-elected,” Call said in a news release. McFadyen, however, said she’s convinced that Tipton can be beaten and cited his cooperation with Republican strategy to shut down the government over opposition to the national health-insurance law. On paper, two other people – Abel Gebre Lake and Stephen Sheldon – have filed with the Federal Election Commission for the Democratic nomination. But neither of them are campaigning actively.